Heirloom Elegance is excited to be a Promotional Partner for the upcoming Quilt Luminarium by Ricky Tims coming to the South Padre Island area in January 2018. 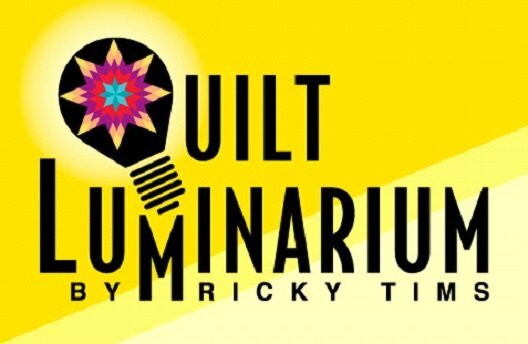 The ALL-NEW Quilt Luminarium by Ricky Tims will be held at the South Padre Island Convention Centre South Padre Island, TX on January 28-29, 2018 (Sunday and Monday). We signed up as a promotional partner to make sure that all of our customers are aware of this educational, fun-filled event, and we encourage you to click on this link to learn about the details. Join Ricky for a two-day comprehensive quilt symposium that demystifies seemingly complex concepts, teaches mastery of unique techniques, and harnesses the power of the ever-elusive muse of creativity.